1965 Jaguar E Type OTS — Automotive Restorations, Inc. 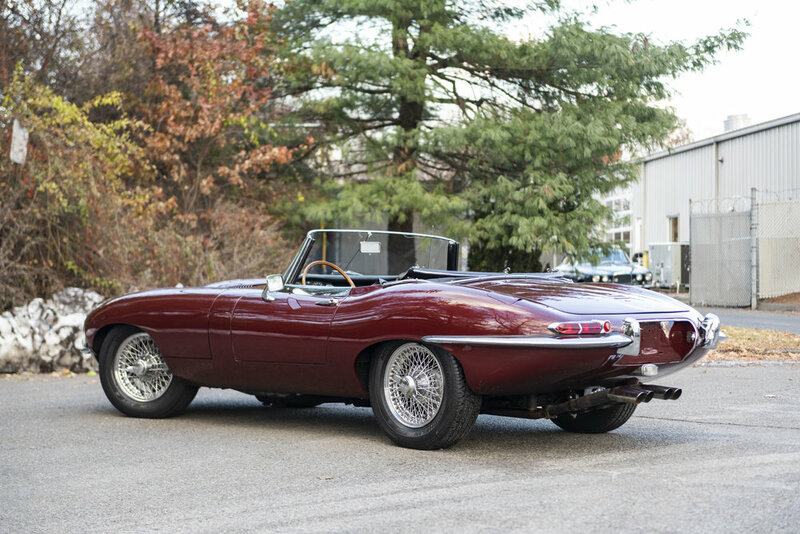 The Jaguar E-Type was introduced to the public in 1961 and continued in several variants until 1975. It was initially shown as a two seater fixed head coupe and also as a two seater convertible. The latter model became known as a roadster and was by far the most popular of the models that jaguar manufactured at the time. Initial models were powered by a 3.8 litre double overhead camshaft engine. In 1965 jaguar upgraded the engine to 4.2 litres with more torque and added other improvements such as a fully synchronized gearbox, reclining seats and an alternator with a negative ground electrical system. The car that we are offering is considered by many to be the best iteration of this model. The series 1 car featuring the 4.2 litre higher torque engine with three SU carburetors, fully synchronized gearbox and improved seating. This car has accumulated only 69k miles and during that time it has remained under the care of automotive restorations for all required maintenance and whatever else may have been needed. Most importantly the current third owners have been custodians of this highly original and unmolested car for the last 35 years. The only deviation from standard has been the installation of an electric engine cooling fan. The car comes with a full tonneau cover, soft top boot cover, factory Motorola radio, whole car cover, tools, manual and front bump bar. 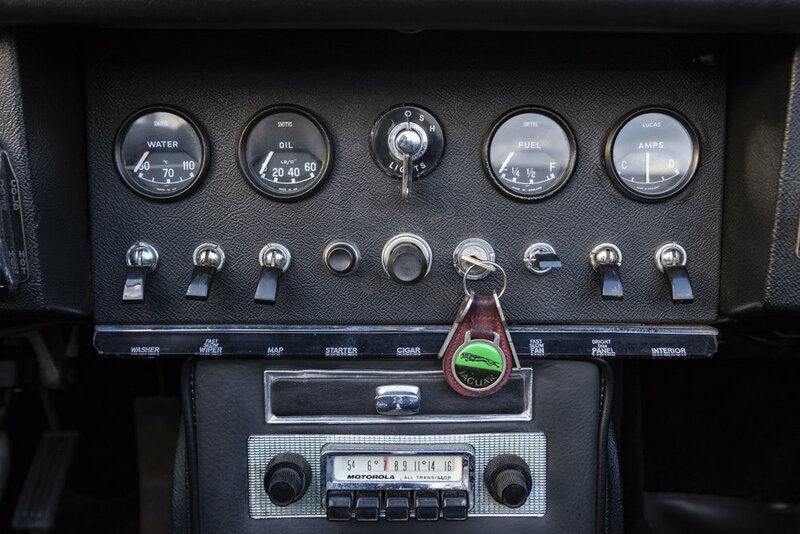 From a front visual point of view the car has those elegant front headlight covers, small overriders and the smaller front lamps, all of which make it one of the best looking and most desirable e-types to own. Recent cosmetic upgrades include a re-trimmed trunk interior and a full service review to ensure adherence to factory service requirements. It is extremely rare to find a car in such complete and original condition with only three owners from new. A great buying opportunity.